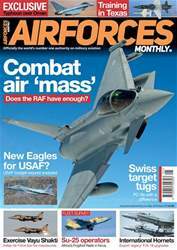 In the September issue of Air Forces Monthly, we ask what is happening with Britain’s Maritime Patrol Aircraft search and ask the question: will it be the Boeing P-8 Poseidon? 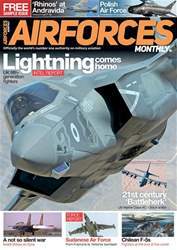 Military News Editor Dave Allport reports on military aviation matters from around the world, while Alan Warnes provides and in-depth analysis of the highlights from the Farnborough International Air Show. 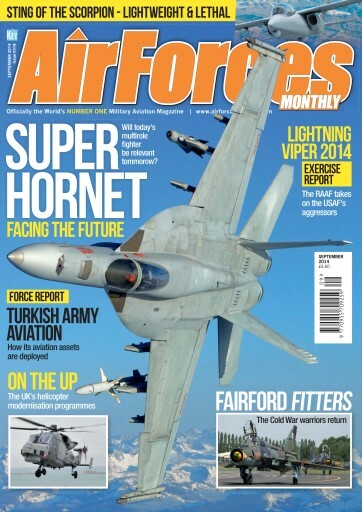 We explore the ongoing developments of Boeing’s Super Hornet, asking the question how long this remarkable multi-role fighter can remain at the front line, and what developments and upgrades are now being proposed for the aircraft. The role of Unmanned Aerial Vehicles (UAVs) continues to expand and AFM looks at the role Spanish examples played in Afghanistan in their war against the insurgents. 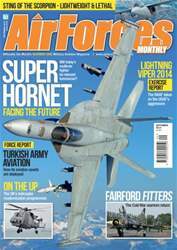 One of the largest air exercises in Europe is Anatolian Eagle in Turkey; AFM was there to cover the event and photograph the specially painted Turkish Air Force F-4E Phantoms. 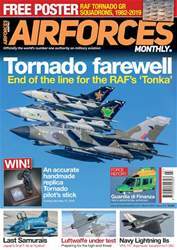 The stars of RIAT, the Polish Air Force Su-22 Fitters, are covered, including an interview with one of the display team’s pilots. 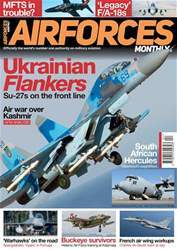 Still the backbone of the Russian Air Force, the MiG-29 Fulcrum continues to be developed in an effort to remain current with the West’s fighter – we examine how good it really is.